I have been taking a little hiatus from social media to do some deep thinking about my brand and my art business. I seem to think best by writing by hand with no interference from technology, and I used my time journaling and reflecting on my vocation productively. 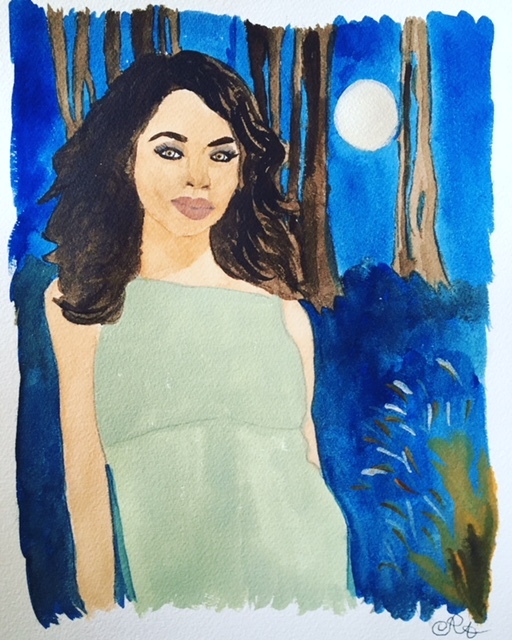 The series of practice paintings I posted today are based on characters from THE VAMPIRE DIARIES. Rewatching six seasons of the show and creating these paintings helped me to realize how much I love art that tells a story. I finally found something I can happily do for the rest of my life without getting tired of it. However, these paintings were based on photographs, and I decided I really want to create original art using my favorite stories as inspiration instead. 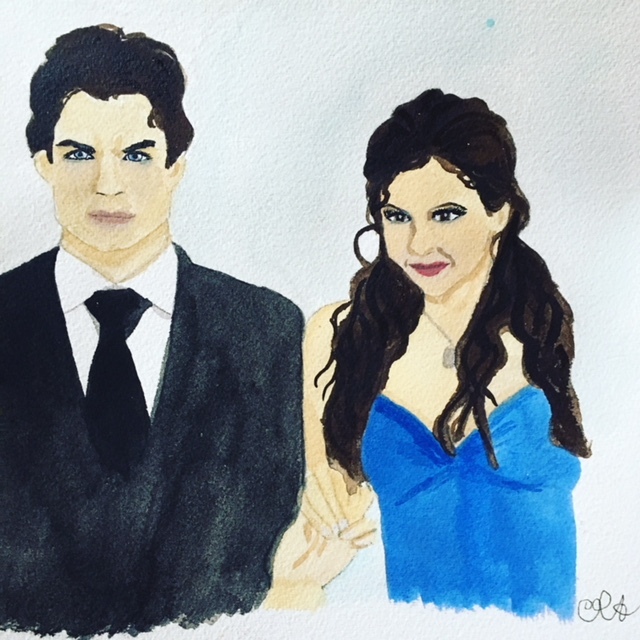 Practice painting of Damon Salvatore and Elena Gilbert by Cindy Adelle Richard. One of the big revelations for me while going this process was the role I came up with for myself – being a Story Artist. The two pastimes that have occupied my time throughout my life have been stories and art. From the time I was three years old, I have been obsessed with reading, and my favorite events were book fairs, weekly trips to the school library or the bookmobile, and story time in my classrooms. Eventually my love of stories expanded into movies, television shows, plays, operas, and ballets. I also started to pay attention to the arts as I grew up – painting, playing the drums, and dancing specifically. During the years that I was in college and building a career as a young person, I had forgotten how important these art forms were to me, and I am grateful that I have reconnected to my love of stories and art over the past ten years. 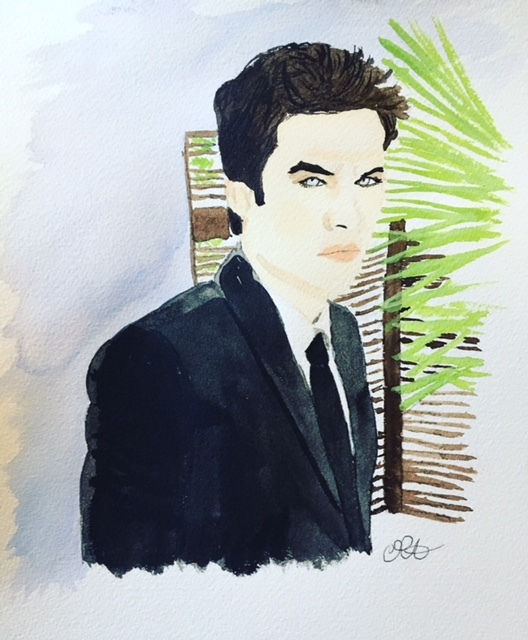 Practice painting of Damon Salvatore by Cindy Adelle Richard. I have decided to use my favorite stories in various forms and genres as the starting point for the watercolor paintings I produce. This blog will be about my life behind the stories – my life as a Story Artist. In addition to creating and sharing my art, I am still in the process of writing a novel set in the 1920s, so you will still see content based on my discoveries from that glorious era. I am truly excited about this new direction my art and writing are taking, and I hope you will stick around to be a part of my creative journey. Thank you for reading and supporting this blog, and I look forward to sharing more story art and content with you. Beautiful! I love your new journey!